If you or someone you love is facing a Dilaudid addiction, there is no better time to get help than right now. That is a task easier said than done for many people. Choosing a Dilaudid rehab and recovery center is daunting because so much is at stake. Instead of feeling overwhelmed, break the task into smaller steps, eliminating facilities that don’t fit your needs and beliefs. At the end, you should be left with a selection of the best residential Dilaudid treatment programs for you. Dilaudid (hydromorphone) is an opioid pain medication used to treat moderate-to-severe pain. This drug is similar to morphine. It is well-known that Dilaudid is a habit-forming substance, so it isn’t surprising to hear about people abusing and becoming addicted to this drug. What is important is that once you recognize you are addicted, you seek help. You probably have a list of a few Dilaudid rehabilitation facilities to consider, but you don’t know which one is the most appropriate. While you are evaluating these facilities, remember that each person’s needs are different, and each Dilaudid recovery program will also be different. It may have taken a long time to develop an addiction to Dilaudid, and it may take a long time to get better. Remember that treatment and recovery is a journey, not an event. Don’t be concerned with the length of time required to go through treatment and recovery; focus on the types of support and long-term follow-up care you or your loved one will receive. Detox services usually include the use of medication, when needed, to help the patient through withdrawal. Primary care services typically include several types of therapy, such as individual therapy, group therapy, individual counseling, alumni support groups and more. Extended care services are less structured. They are for people who are transitioning from primary care treatment who are not quite ready to go home. Services include counseling, individual and group therapy, and support groups. Partial care services are non-residential treatment programs where the addict receives between two and five hours of services a day. This allows the person to remain living at home and going to work or school. Outpatient care services are also non-residential treatment programs with even less time spent in therapy. A person receiving outpatient care will typically attend group or individual therapy sessions a night or on the weekends. This situation creates a positive, peer-group environment that can help any addict, no matter how long he or she has been drug-free. Next, you need to decide if you want medical, clinical or 12-step rehabilitation services. Some Dilaudid treatment programs will offer all three types, some will offer two of the three services, and some will offer limited 12-step program and clinical services. Medical services usually include detox and psychiatric services. 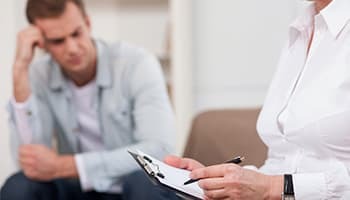 Clinical services typically comprise the types of therapies you’d expect to receive in rehab: psychological evaluation, individual and group therapy, counseling, and even couples and family therapy. Finally, there are 12-step programs complete with special meetings and educational opportunities. This service is geared towards recovery-related issues like trigger identification and relapse prevention. 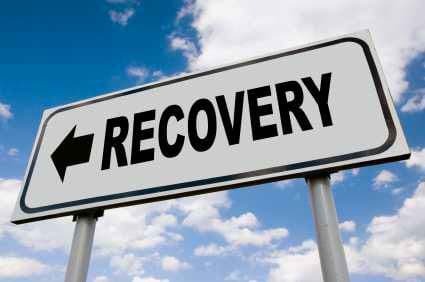 Cost is a big issue when it comes to choosing a recovery treatment program. You could spend as little as nothing to thousands of dollars a week, depending on the type of facility. Check with your health insurance provider because some or all of a residential rehabilitation program may be covered. If you are working, your employer may also have an employee benefit program that will cover some or all of the cost of rehab or treatment. The final step in finding the best Dilaudid recovery facility for you or the person you care about is to visit several facilities in person or look extensively at their websites. Are your beliefs in line with the beliefs of the treatment program? This question may be answered in the Mission Statement of the treatment program.